I think these price changes are endogenous. Not random at all. 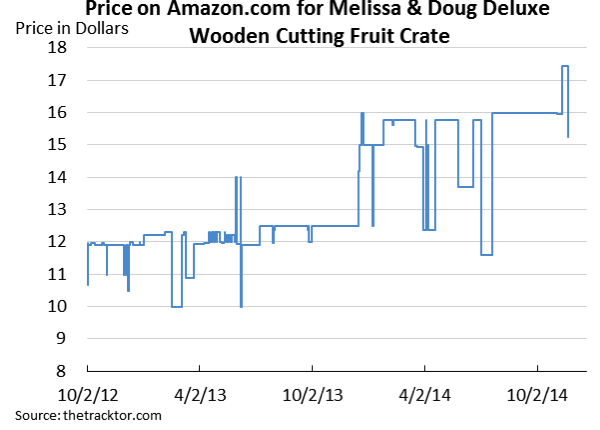 Amazon knows when there is more or less demand and optimizes returns. Just wanted to blow in the same horn. Convinced that Amazon’s information on who shops when is pretty good. That makes it however as my predecessor says endogenous and thus price discrimination among customers via time, which is captured in simple IO models.